and at the time, with no media agency CEO roles in market, and given his lengthy stint in this area, it was thought he'd resurface media owner side or in a consultancy - given the media hires taking place at firms such as KPMG and PwC. Brooks will report to Nine's director of sales for television Richard Hunwick and his start date will be confirmed in the coming weeks. 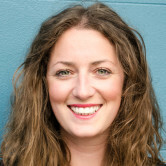 Brooks replaces Liana Dubois, who last week was promoted to the role of director of 9Powered, Nine’s client solutions team. “In moving over to the media side, I wanted to find a business that was really making a difference to the market and it was difficult to go past Nine,” Brooks says. 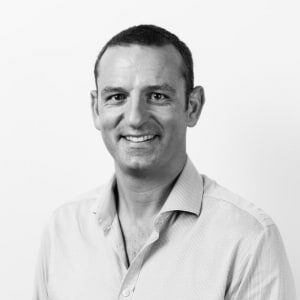 Prior to Dentsu Aegis Network, British Brooks was a chief investment officer at MediaCom Sydney - having moved over from Mindshare London. “Paul is one of the most experienced and respected senior leaders in our industry and I could not be more excited that he is joining our team,” Hunwick adds. From James Warburton, David Roddick,Tony Kendall and Joe Pollard, to John Sintras, Mike Tyquin, Andy Lark, Mike Connaghan and Guy Dobson, there are many senior adland execs still without new roles after exits in 2018. Do you have a tip-off about a new role? Email me here. Ex-Carat CEO Paul Brooks has joined Nine as director of sales in Sydney. Brooks headed up Dentsu Aegis Network-owned media agency Carat for two years and prior to that ran the network's media investment division, Amplifi. He left in September and at the time, with no media agency CEO roles in market, and given his lengthy stint in this area, it was thought he'd resurface media owner side or in a consultancy - given the media hires taking place at firms such as KPMG and PwC.